Contemporary elegance meets Old World charm in this remarkable penthouse loft. Stunning finishes include polished concrete floors, rich wood, exposed brick, elegant custom cabinets & open staircase leading to 2nd-level bedroom that features original non-working fireplace. Building amenities include an impressively appointed lobby, light-filled courtyard, and direct access to the YMCA. Ideally situated between the University & Market Square. Square footage provided by Courthouse Retrieval System and is an estimate only. Buyer to verify size. 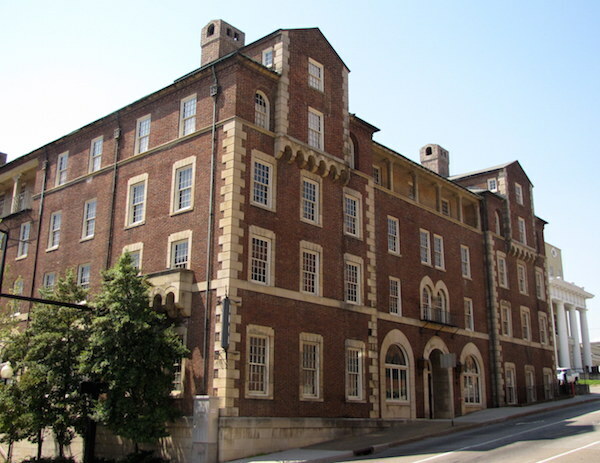 Location: Crown Court Condominiums are situated at the corner of Locust and Clinch above the historic YMCA. Parking is available in the Locust Street Garage directly across the street. Downtown residents are currently offered reduced rates for monthly parking permits in the Locust Street garage (approx. $35/month). Parking is generally free on nights and weekends.